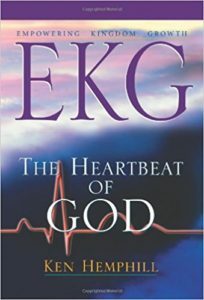 In preparation for a sermon I had to preach this past weekend, I was studying some of the key concepts that Dr. Ken Hemphill wrote about in his book, EKG: The Heartbeat of God. I was reminded that Jesus declared that the kingdom of God must be our highest priority in our lives, homes, churches and schools. In order that we may seek His kingdom, we must first understand what His kingdom is. Hemphill explains God’s kingdom in a very understandable way. The kingdom of God can be understood by realizing that He is our King and we are His people that He is our Master and we are His servants that He sets the rules and we simply obey. Simply stated God’s kingdom is present wherever and whenever God reigns. God wants to reign supreme in all of life — whether it is in the life of an individual, a family, a church or the education of one’s children. The heartbeat of God is for His kingdom to grow. Throughout human history God has accomplished and continues to accomplish this through a select group of people that He takes as His possession. In the Old Testament, God chose Israel to be His possession (Exodus 9:16; 16:5). In the New Testament, He chooses individuals or we could say the church in general (Titus 2:14). It is important to keep in mind why God chooses nations and/or individuals to become His possession. I again refer to what Hemphill writes in his book. God has a claim on His people (Israel, today’s church) not just to give His people privilege or standing but to give them purpose. As His possession we are not to be admired on the shelf but to be maneuvered full force into the world. God has chosen us, as Christians, to accomplish two purposes through our lives. God wants His people to be known to the world as demonstrated by their relationship to Him. God wants His people to fulfill their roles in all of life in order to extend His kingdom rule in the world. God always desires to demonstrate to the world what living in a covenant relationship with Him would produce in people’s lives. This concept is also applicable to the education we give to our children and youth. Their education must be different from the secular education that this world provides. The difference must be evident in the school’s philosophy and the worldview from which all teaching takes place. However, we are facing a crisis in today’s homes, churches and schools. Hemphill accurately describes our current crisis this way. Ours is a world where we are too often lured into being near carbon copies of our culture – Christian up to a point yet cool enough to know when we are taking it too far. We are rewarded with the world’s acceptance when our tastes and standards look more like the prevailing norms and less like the prescribed Word of God. We feel a little bit more comfortable when we fit in. Unfortunately, I find this very same situation infiltrating too many Christian schools. There seems to be an effort to “fit in” with secular forms of education. We offer the same courses, use the same textbooks and basically follow the traditions of men that Paul warned against in Colossians 2:8. The challenge Christian parents, church leaders and educators face is that it is easier to be traditional than it is to be biblical. I was reminded of the power of what might be referred to as the “hem of holiness”. We find these words in Zechariah 8:22. This is an amazing statement. There will be a day when people from every nation and language will cling to God’s people and beg to go with them. Why? It will be because they heard that God is with them. As another school year comes to close here in this country and we start preparing for a new year, I believe it is important that we take some time and reflect on God’s call on our lives, our homes, our churches and our schools. In light of what I have shared above, there are some questions that we need to consider. Do we desire the kingdom of God or the kingdoms of the world? Are we striving for personal/school fame or for the Father’s glory? Are our homes, churches and schools known by our relationship with God? Are families coming to our schools and urging us to allow them to join and go with us because they have heard and seen that God is with us? Embrace His mission — be God’s chosen instruments to draw the lost to Himself. Embody His name — represent His nature and character to the world. 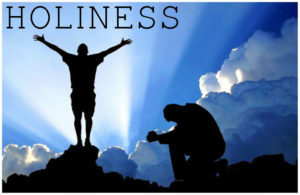 Obey His Word — have a brand of holiness that demonstrates all the noticeable difference He makes in lives. One author (whose name I forget) put it this way, “I would advise no one to become a Christian unless he intends to seek God’s Kingdom first. He can pretty well count on having a miserable life if he seeks it second.” If Christian schools truly purposes to seek God’s Kingdom first in actions not just in the words in their promotional material, the fear might be that enrollment numbers could plummet along with school income. But the Lord’s Kingdom has always advanced through the unity of a biblical faith and an uncompromising conviction to seek his Kingdom first, not through mere superiority in numbers. May the Lord grant those two things to all of us. Thanks for the vivid description of the contrast between cultural and authentic Christianity. 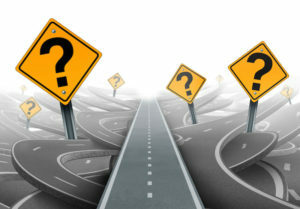 The distinction between making converts versus disciples is obviously in need of clear presentation and understanding. Keep up the good work.